It is another food week with me! This week I have some soup! I love soup, I could have soup for dinner, which is exactly what I had. Well yes people have soup as a main dish. Buy being Asian, in out family soup is always a side thing. But it can be explained that Asian soup has less stuff, majority of the time it is just water and some ingredients. There is no noodles or so. But anyways, I learnt this soup from my mom. It is beef with different kinds of stuff. This one I’ve put cassava, potato, okra, carrot and tomatoes. I would usually also add squash, which I love but they didn’t have any 😦 This soup is by far my favorite soup that ice learnt from my mom. 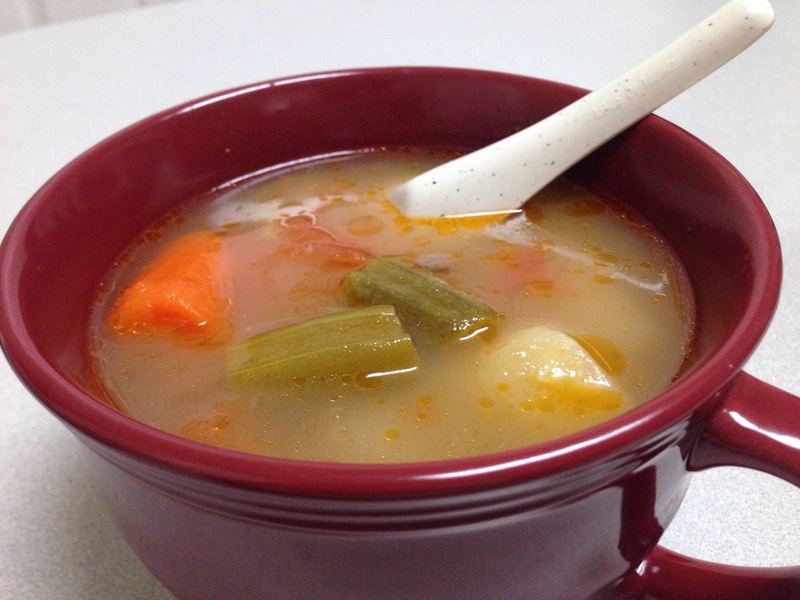 Do you have a favorite soup that’s homemade?